In "Takoma Langley Crossroads Transit Center: a critical evaluation." and then expanded in "Setting the stage for the Purple Line light rail line to be an overwhelming success: Part 2 | the program (macro changes)," I outlined recommendations for a program for systematic improvement of bicycle accommodations at transit centers. I included this as an item for a similar improvement program in Northern Virginia. This updates that list, and extends consideration to Greater Baltimore also. 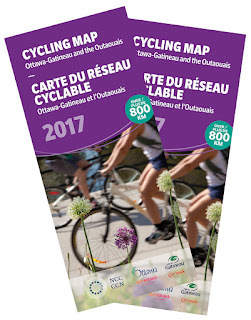 Note that bike infrastructure is defined as lanes and various treatments, while facilities are defined as parking, showers, maps, and other supports. 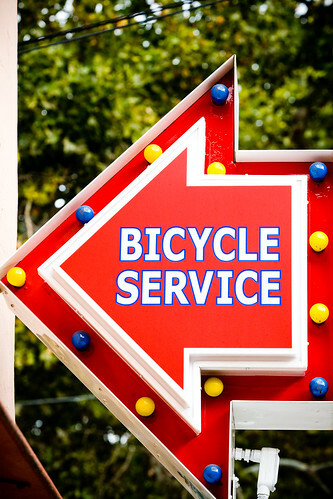 Bicycle Service neon sign. College Cyclery, Sacramento. Flickr photo. The program as outlined below should become an initiative of the DC and Baltimore MPOs, working with the local jurisdictions and transit agencies to implement and manage it. Below, I suggest that the area jurisdictions should band collectively to develop and fund the program, ideally with the assistance of a facilities development grant from the Kresge Foundation. 1. As mentioned in previous posts, the Capital Trails Coalition should become an official program of the DC area Metropolitan (Transportation) Planning Organization, the Transportation Policy Board, and it should be extended to include Greater Baltimore and its MPO, the Baltimore Metropolitan Council. 2. Area jurisdictions should commit to creating an integrated metropolitan and regional bikeways network, supporting cycling as transportation. Trail expansions should be coordinated and opened in association with the launch of the Purple Line light rail and the extension of the Silver Line subway in Fairfax and Loudoun Counties. Examples include the Metropolitan Branch Trail in DC, and the connector from Fort Totten in DC to West Hyattsville station, in Prince George's County, as well as the Central Avenue Connector in Prince George's County, which won't connect to the Purple Line, but why not use the launch as an excuse to move the project forward ("Comments on the Central Avenue Connector Trail concept (Prince George's County, Maryland"). Other models include the Virginia Capital Trail linking Williamsburg and Richmond, Virginia; the Empire Trail proposal in New York State ("Empire State Trail Would Be Longest Multi-use Trail in the County," New York Times), and a proposed trail from Newark to Trenton in New Jersey ("New bike, walking trail would link N.J's 2 largest cities)" Newark Star-Ledger), plus the Minuteman Trail in Greater Boston, the Burke-Gilman Trail in Seattle, and of course many trails in the DC area such as the Mount Vernon Trail and the Capital Crescent Trail. While some of these trails are more about recreational cycling, they can serve as a backbone foundation for the creation and extension of metropolitan bikeways networks focused on meeting the needs for transportational cycling. 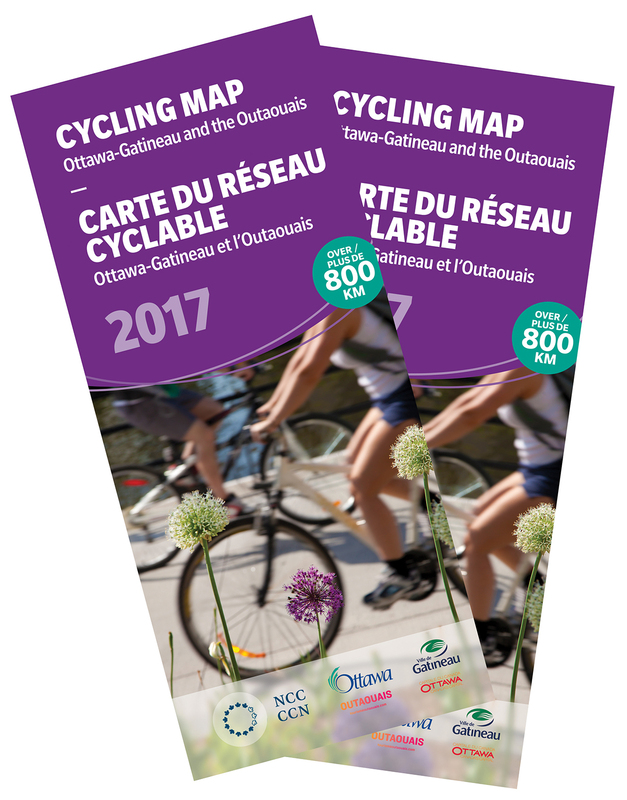 And as a direct model, I have been remiss in writing about the trails network in the National Capital Region of Canada. Given Ottawa's status as the national capital, it seems an obvious example, and the network is managed by Ottawa's equivalent of our MPOs. Note that NYC does post large bikeways maps in their "bike parking shelters" (comparable to a bus shelter). Note that the NYC bike parking shelter doesn't qualify as secure bike parking, nor does it provide parking that is reasonably protected from weather, since three sides of the shelter are open to the elements. And it doesn't provide very much parking either. 4. In the DC area, treat Metrorail, Purple Line, and MARC and VRE stations as "trailheads" for the bicycle transportation network. Extend this treatment to Greater Baltimore, including MARC stations, as well as subway, light rail, and key bus transfer centers. 5. Develop an integrated secure bike parking program across the region, anchored by the transit network, modeled after the Parkiteer program in Victoria State, Australia. Centered on Melbourne, the Parkiteer bike parking is a network of 90+ secure bicycle parking cages at railroad and transit stations. While many European, Asian, and South American cities provide similar types of bike cages, Parkiteer is different in that each cage is a node in a common network, rather than each a free standing facility with different membership and entry access systems. key activity centers, not just transit stations. not just bike cages like the Parkiteer program, but work to employ a wide variety of high quality secure bicycle parking options designed according to the location's conditions, opportunities, and potential for the most cost-effective installation. The way the Parkiteer program works is that "members" pay a one-time $50 fee for a key fob which allows them to open the access control device. They can use any of the Parkiteer sites across the network. There is no daily use fee for parking. Ideally, a wide variety of high quality parking options would be employed, not just the "cages" used in the Parkiteer program. 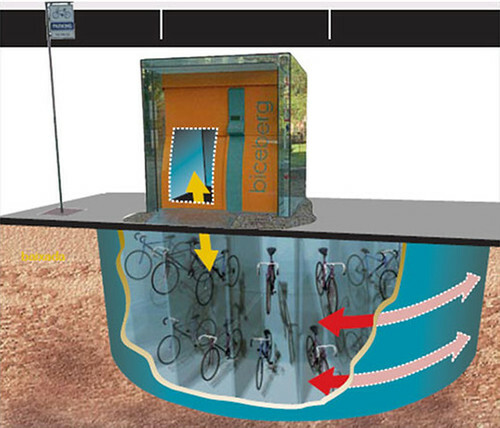 The Biceberg underground bicycle parking system works with an above-ground kiosk. At the Logan Square CTA station in Chicago, protected bike parking is available within the station, behind the fare gates, in interstitial space. Note that the Biceberg has the capacity of 23, 46, 69, or 92 bikes, depending on the underground configuration (each unit of 23 equals the cubic feet of one parking space), while the bike cages used in the Parkiteer program have a capacity of 30. Plus, it seems that the Parkiteer program's cages are pretty expensive. 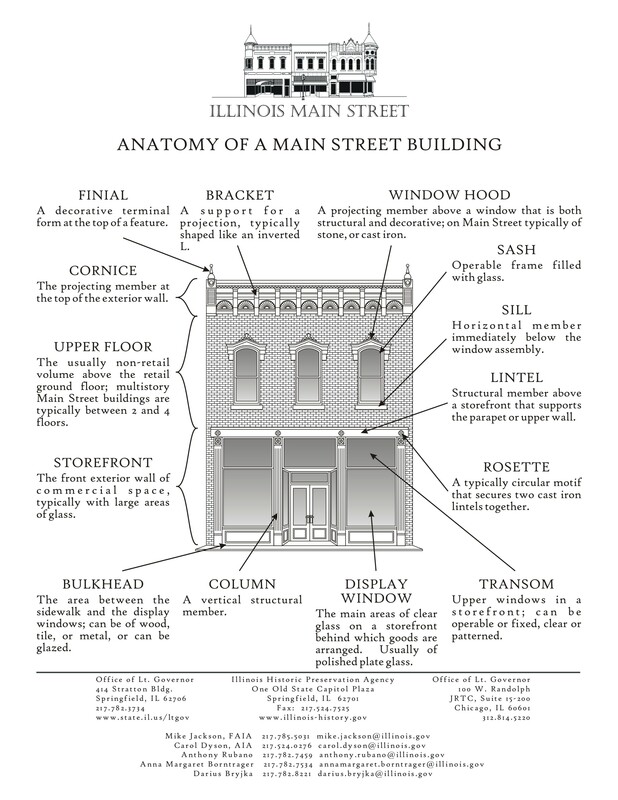 In any case there are a variety of spaces (indoors, garages, underground options, etc.) that should be utilized for such a program. 6. Upgrade wayfinding and signage systems, including the addition of map signage. 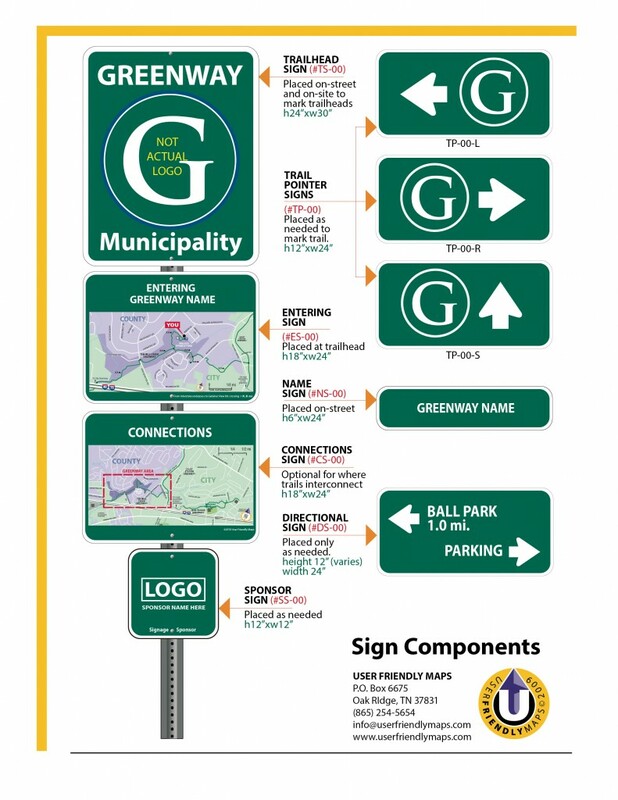 The Greater Knoxville Greenways Trail signage is a good model, so is Better Bikeways. An integrated signage system should include common branding and identity systems as well as contact information. Maps are key. 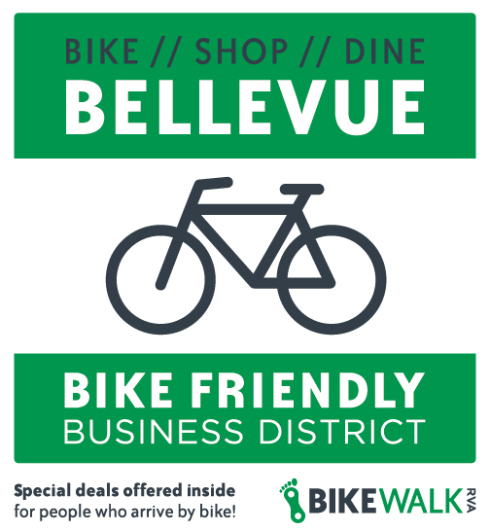 The signage system should include information for "traveler services": bike shops and air; and public restrooms. 7. 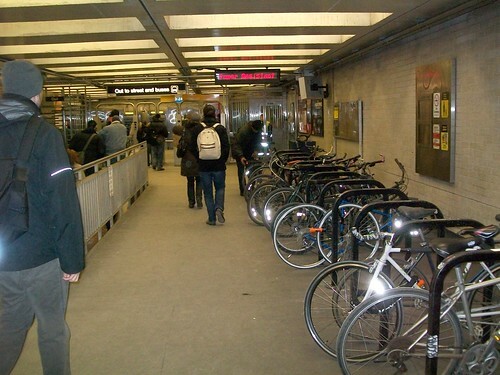 Add bike repair stands and air pumps to transit stations. Including air pumps and repair stands is still not standard practice for transit stations in the region. However, many local jurisdictions installing bike pumps are not installing pumps that can withstand the rigors of high use in public places. Only pumps rated for such should be installed. In protected spaces, electric air pumps can also be used. 8. Create bike hubs as needed at PL/Metrorail/MARC/VRE stations in the DC area and at MARC, subway, light rail, and key transit transfer centers in Greater Baltimore. 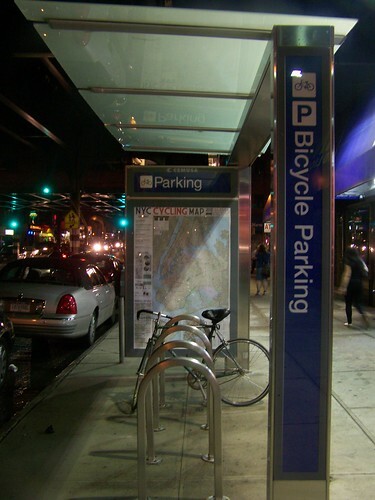 WMATA has developed some secured parking stations, but not multifaceted "bike hubs." Ensure that the bike hub planned for Silver Spring opens simultaneously with the Purple Line. A new model to consider is the Los Angeles MTA's Bike Hub program. The first was at the El Monte Regional Bus Station, which is the largest local transit bus station outside of the East Coast and Chicago ("A parking garage for bicycles just opened at El Monte Bus Station," San Gabriel Valley Tribune). Velofix is a mobile bike repair operation, with franchises across North America. Work with mobile bike repair operations and/or local bike shops to create a regular schedule of on-site bike repair options at transit stations. Windsor Heights could convert an empty auto shop into a bustling hub for cyclists, complete with a restaurant, outdoor patio, locker rooms and bike repair station. The former Sears Auto Center sits just west of the Wal-Mart on 73rd Street, at the nexus of the Walnut Creek and Clive Greenbelt trails. 9. As part of this program, develop special bike hubs at Penn Station in Baltimore and National and BWI Airports, and a new bike hub as part of the expansion of Union Station in Washington, DC. 10. Create bike hubs with shower and locker facilities that are not "building-tenant" specific in key employment centers such as Downtown DC, Bethesda, etc. Work with recreation centers and privately owned sports facilities to provide such services where facilities already exist. E.g., the LA Fitness Center on Cameron Street in Silver Spring. 11. Provide space for bike hubs/bike co-ops in community recreation centers and other well-located public facilities. 12. Bike hubs should be the touch point for the delivery of programs like a bike co-operative, youth programs, "create a commuter" programs, and cycle loan schemes to assist people in trying out cycling for transportation. 13. Provide financial assistance for the opening of bike shops in low income areas as a way to seed biking for transportation. 14. Funding the creation of bike loan programs at public housing locations. I've suggested this to a couple of public housing organizations but never got a response. The idea would be to develop programs similar to bike sharing programs offered by some colleges and universities, where rather than deploying technologically complicated and expensive sharing systems like Capital Bikeshare, instead they assign a student a bike for a semester for a small fee (or even free), along with a lock and helmet, and usually repair services are included. . The idea is that public housing residents could get bike access in a similar way, and it could be bundled into the cost of renting an apartment. Of course, it would need to be complemented by the installation of protected and very secure bike parking facilities, located on site. 15. Integrate the ability to pay for bike share use via the SmarTrip/CharmCard transit fare media card. 16. Improve accommodations for bikes on transit vehicles. Most of the bus systems in the region have front-mounted bike racks that can take two bikes. Over time, these racks should be upgraded to the three-bike version. 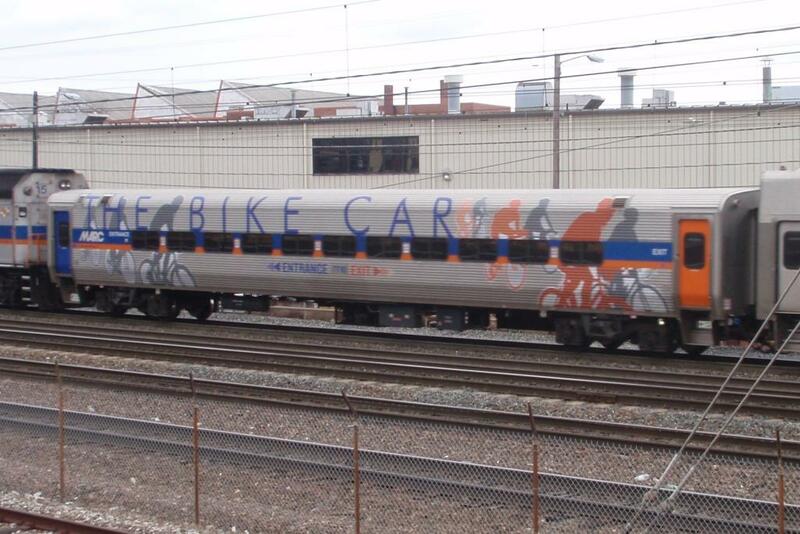 MARC has a weekend bike car on the Penn Line, and plans to extend bike accommodations to Monday - Friday service on all three lines. VRE will accommodate bikes on an as-needed basis. More steps can be taken to systematically add bicycle storage capacity. 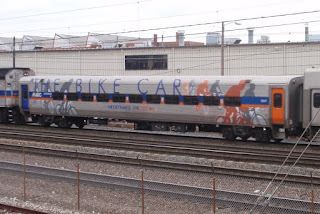 WMATA should include bike hooks or other "contraptions" in the design of future train cars, which they don't do at present. When Copenhagen/Denmark selected the Urbikes system, the national department of transportation created a master contract offering the same terms to all jurisdictions within Denmark. And in Ontario, the PRESTO transit fare card system works in all but one major city across the province. It's not the end of the world if the systems stay separate, but from the standpoint of integrated transportation networks, it makes more sense to have one system. If communities outside of the core region (e.g., Hagerstown, MD or Winchester, VA, etc.) want to adopt bike share, they should be able to do so on similar terms. That way people can use the same system wherever they go, not unlike how the SmarTrip/CharmCard system works on most transit agencies in the DC-Baltimore region. How to seed financing for this program. The Kresge Foundation is a national foundation focused on funding buildings and civic infrastructure, such as funding for museum and music facilities construction. Typically, they provide challenge grants, say up to 50% of a project, as a way to motivate local donations. Increasingly, foundations see investments in placemaking, especially parks but also bike infrastructure as a way to build and extend community and economic revitalization. In Akron, the Knight Foundation has been a key funder for the iTowpath bicycle trail project ("How improvements to Akron’s Towpath will better connect residents to the city," Knight Foundation; "Knight Foundation awards $500k grant for Towpath," Cleveland Plain Dealer), providing intra-city bike connections to the regionally-serving Ohio & Erie Canalway Trail. In Philadelphia, the Circuit Trail Network initiative enjoys the support of key foundations, especially the William Penn Foundation, which provide more than $8 million in a single grant (The Region’s Trail Network, The Circuit, Gets Major Boost," WPF). Roughly half the funding for the Indianapolis Cultural Trail came from the Central Indiana Community Foundation, and a lead gift of $15 million from Eugene and Marilyn Glick. The Indianapolis Cultural Trail circles the Downtown, linking six outlying neighborhoods to the core. 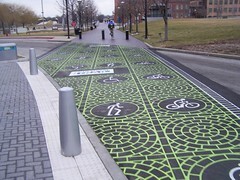 It is known for particularly distinctive sidewalk, bike path, and roadway crossing treatments and integrates public art also. Note that other elements concerning "programming" need to be included in a master plan, but aren't facilities that a foundation like Kresge would consider funding. 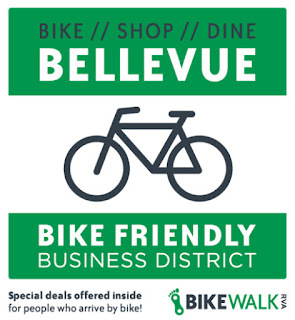 - creating "Bike Friendly Business Districts"
Bike Friendly Business District promotion, Bellevue neighborhood, Richmond. This Seattle Times article reports findings that access to a protected bike lane increases bike commuting. While that may be true, the article also recounts examples of employers adding high quality bike support facilities, which makes biking for transportation more likely. When the Allen Institute moved to South Lake Union from Fremont in 2015, they realized that traffic would be worse and parking would be more expensive, Essmeier said. They wanted to encourage biking as much as possible. “When they were building this building they really tricked out the bike parking and the facilities, with lockers and showers and all that,” Essmeier said. That’s the second thing that every top business for bike commuters has in common — amenities that make it a little bit easier to ride a bike to work. All 15 of the top bike-to-work companies provide indoor bike storage. Fourteen of the 15 provide showers. Six provide bike-repair stations. And four even provide the bikes themselves. In other beer news, Bike Month lasts through May, and that means you’ve got two more chances to score free beer at St. Elmo Brewing Co., just by riding your bike there. Tell your bartender that you arrived on two wheels, and you’ll get a free half-pour of beer between 4 and 11 p.m. every Wednesday during May. Offerings include the Angus dry stout, tropical Slate American IPA and Evangeline French Saison. Don’t drink alcohol? Opt for the house-made soda. Bring your four-legged friend, too. The patio is dog-friendly. St. Elmo Brewing Co. is located at 440 E. St. Elmo Road, G-2, in the Yard development off South Congress Avenue. should have included an element of piloting high quality bike parking external to buildings, in dense neighborhoods with older apartment buildings built with limited parking accommodations of any kind. Do high capacity bike parking (like the biceberg) that can be "shared" across buildings. All the travellers and passengers including the bicycle riders need to park their vehicles aside at a particular parking area. Thanks for sharing this informative post and it would be quite helpful for passengers as well.